This luxurious basement spa bathroom was part of a total home remodel, located adjacent to the new hot tub room that was the former greenhouse. It features glass blocks to provide daylight. 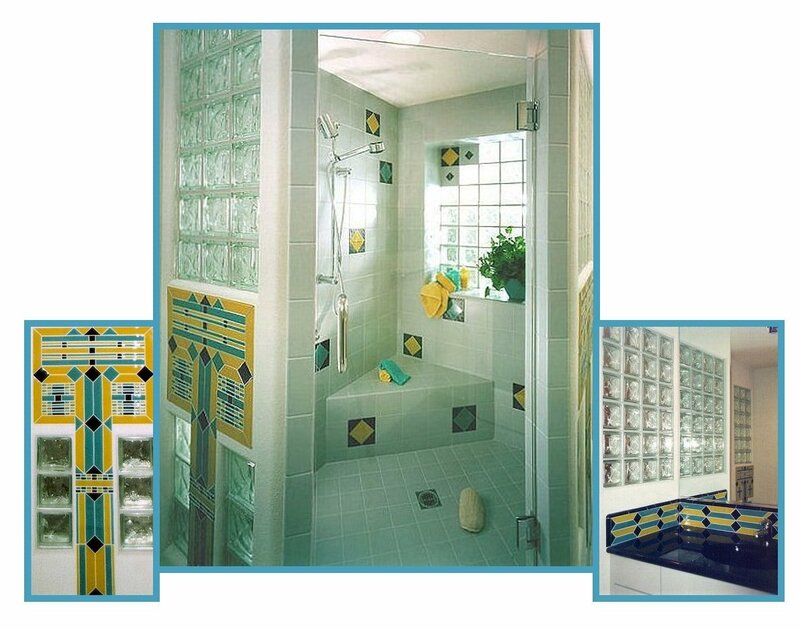 Yellow, turquoise and black glass tiles were used as accents. The backsplash is a custom motif, using the same glass tiles. Not shown is the adjacent 6-person sauna.